The importance of time and space for children to play is established across a range of scientific disciplines, with a child’s right to play recognised in international law. Yet play is rarely a priority for government, planners or developers. 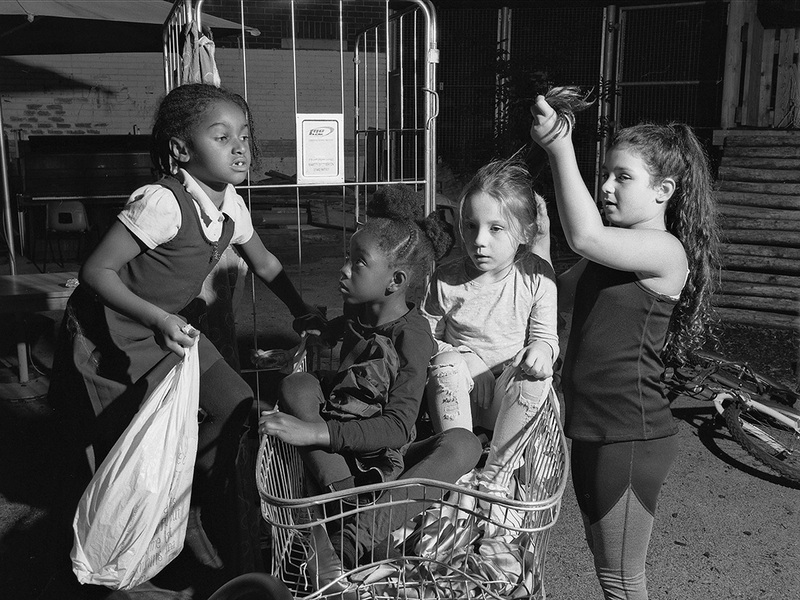 Public spaces are increasingly privatised, and in the age of austerity, the play projects and services that bridge this deficit, such as adventure playgrounds, are often first in line for closure. As part of Child’s Play, this symposium explores how we provide for this universal right, asks why space to play is not better protected within the public realm, and considers what can or should be done to afford all children the space to play. The day will include a tour of the exhibition, led by Mark Neville, revealing the stories behind his work. Adrian Voce is the author of Policy for Play (Policy Press, 2015) and President of the European Network for Child-friendly Cities. After a long career as a playworker, he was the first Director of London Play (1998-2004), securing policy commitments for children’s play from the London Mayor. As Director of the Children’s Play Council and then Play England (2004-2011) he was key in securing almost £350m of public funding for children’s play. He has produced a number of influential publications and appeared often in the national media speaking and writing about play policy. He was awarded an OBE for services to children in 2011. Mark Neville is a British artist who has had solo exhibitions at the Imperial War Museum and the Photographers’ Gallery. He works at the intersection of art and documentary, investigating the social function of photography. His photographic projects to date have frequently made the communities he portrays the primary audience for the work. In 2012 the Andy Warhol Museum exhibited a body of newly commissioned photographic works by Neville which focused upon issues of race and the legacy of the steel industry in Pittsburgh. In the same year The New York Times Magazine commissioned Neville to make the critically acclaimed photo essay Here Is London, which they subsequently nominated for the Pulitzer Prize. The Foundling Museum is a registered charity and all income from ticket sales supports its work.